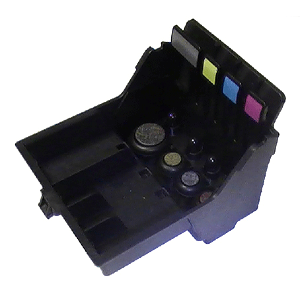 This is a genuine Primera semi-permanent printhead assembly for the LX900e and RX900e colour label printers. This printhead can be used with both dye and pigment inks, however you must NOT mix dye and pigment inks together in the same printhead. If you intend to use both types of ink you will require two printheads kept separately. #LIFE SPAN#This printhead is expected to last for a finite period of time. Typically it should last for at least 26 black cartridges, or 32 of any colour cartridge, however this is not a guarantee. The printhead could last longer or shorter than this depending upon many environmental and usage factors.